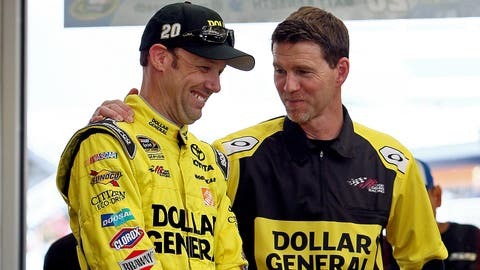 Matt Kenseth (left) and crew chief Jason Ratcliff (right) enjoyed great success in their first season together. With the NASCAR test at Charlotte Motor Speedway on Wednesday, there is a lot being done to test new combinations on the Gen-6 car. There’s also a lot being done with the new combinations of crew chiefs and drivers for the 2014 season. If I am a crew chief paired up with a new driver, my immediate goal is to get the communication line opened up. I want to get a feel about what this guy is telling me. When we make a change on his race car, I want him to feel the change and understand the purpose of the change. I want his feedback on what he feels. We also will work on our language with each other. I want to start understanding, for example, when he says the car is "a little tight" — well, what does a little tight mean compared to the driver I used to work with? That’s the No. 1 key with a new driver/crew chief combination — communication. Getting started off on the right foot is crucial. We both have to have the confidence that when a change is made on the car, we both see results. It’s irrelevant at this point whether it’s a good or bad result, just that there is a result from the change. You want your driver to know and realize that when he tells us something, we address it and try to improve the car based on his feedback. The worst thing that can happen is the driver has doubts in the back of his mind if the crew chief and team are listening to his concerns. 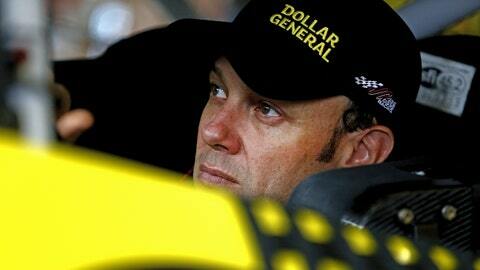 Matt Kenseth said that in the first 20 minutes of last year’s test with his new crew chief at Joe Gibbs Racing. He just knew they were going to work extremely well together. Obviously for the No. 20 car, the 2013 season bore that out. You always hope it clicks that quickly, but sometimes it doesn’t. You hear us talk a lot on the race broadcasts that a driver/crew chief relationship is like a marriage. It really is. You get to a point where you can almost read the other guy’s mind. Sometimes a simple look is all it takes. Just like in a marriage, it takes a lot of work to make a driver/crew chief combination thrive. Drivers can be the biggest babies and mental cases like you never would believe. It’s their world we all live in. They get all the glory. They are the only ones in that race car, and what they need/expect from their team is reassurance and results. In our world they are the high-strung thoroughbreds that carry the team along. When you look at the teams that are good today, obviously the gold standard in our sport is Jimmie Johnson and Chad Knaus. When Chad tells Jimmie something, Jimmie doesn’t question it. He knows that Chad knows what he is doing. Conversely, Jimmie also knows that when he tells Chad something, that Chad is going to respond in a positive light. You can go down the list of our top teams and you see that same type of chemistry. That type of communication, that type of chemistry, that type of bond is what propels a driver/crew chief combination into victory lane and ultimately to a championship.